The sheltered waters around Seldovia have been home to Native people for thousands of years. While there is no written history of these ancient people, archaeological studies have unearthed bone and bone tools; the remains of fish and animals that people ate and home sites and graves. 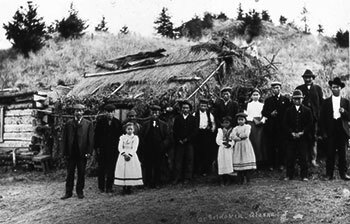 The Seldovia area was a meeting and trading place for the Kodiak Koniaqs, the Aleuts from the Aleutians, the Chugach people from Prince William Sound, and the Tanaina Kenaitze people of the Cook Inlet. They traveled over land and across the sea to make their home in Kachemak Bay. Speaking Sugpiaq, Aleut and Dena’ina, they traded goods, ideas and regional traditions. This confluence of cultures gave rise to a tradition of subsistence from the sea and land that continues to this day. Around the turn of the century, a cluster of homes known as Barabaras existed at the head of Seldovia Bay. Known as the Old Village, only the remains of the Barabaras’ rectangular pits exist today. Russian traders who sailed the Arctic coast first came to the Aleutian Islands in the 1740s. Reports of abundant furs brought about the Fur Rush, which began in 1742. Russian influence later extended to the southern Kenai Peninsula where sea otter stocks were abundant. As Russians, and later Americans, moved in to exploit the otter, Native people were pressed into service for the fur companies. Men were forced to leave their homes to hunt furs. Consequently, Native families suffered separation and food shortages. 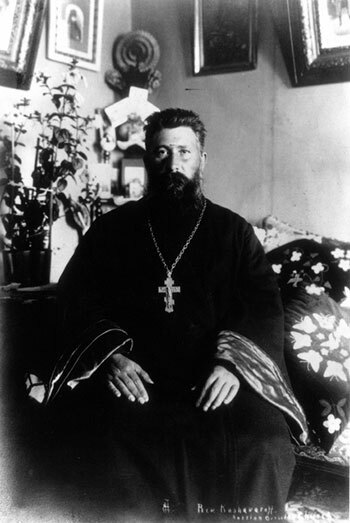 Russian Orthodox Missionaries exerted tremendous influence over Native people but they also showed respect for the culture and traditions as they introduced the Orthodox faith. 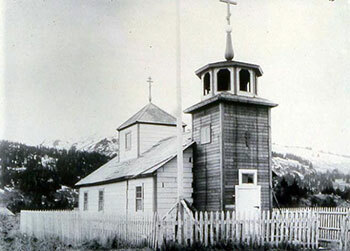 Orthodox missionaries learned the Aleut language and helped the Aleuts to develop a written record of their language. The Orthodox faith was blended with traditional Aleut values and beliefs and was an integral part of daily life for the Seldovian congregation. Social life centered around church holidays and festive celebrations that are still observed on Christmas and Easter. As hunting pressure led to the decline of the wild, fur-bearing animals, the breeding of foxes in pens or on islands became popular. Fox were introduced to Yukon and Hesketh Islands where they foraged the beaches for mussels and other shellfish. In the 1920s, many Seldovians were involved in fox farms that dotted the south shore of Kachemak Bay. With the Depression in 1932, the demand and price for furs dropped and most men got out of the business. Seldovia was one of the few Cook Inlet ports to remain open to navigation through the winter. With the discovery of gold in the interior, thousands of prospectors from the lower 48 boarded steamers bound for Seldovia. From there they traveled on small inlet steamers to the gold fields in the Upper Cook Inlet. Railroad construction and other development brought even more shipping business to Seldovia. The Cook Inlet Transportation Company met ocean-going steamers at Seldovia and carried men, livestock and freight north to Inlet ports. In 1926, construction of the Anderson Dock allowed large ocean-going steamers to tie up making Seldovia a hub of shipping in Southcentral Alaska. 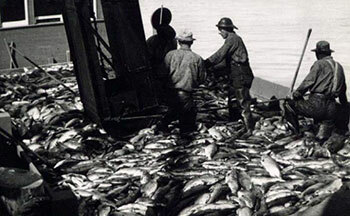 In the 1920s, a bountiful herring fishery attracted herring fleets from the Pacific Northwest and California to the Cook Inlet and Kachemak Bay. Two herring salteries were built in Seldovia and old sailing ships were converted to floating salteries. The need for more labor brought scores of Scottish and Scandanavian “herring chokers” and fishermen to work in the salteries. Over time, concentrations of rotting fish discarded by the salteries killed the vegetation necessary for spawning herring. The herring fishery declined and by the 1930s was closed. Many men who came to Seldovia for the herring fishery stayed on to fish salmon, halibut and crab. They married Native women and established families that are still the backbone of the town. 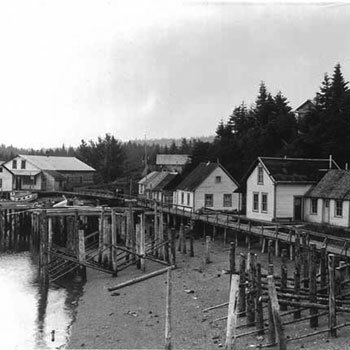 Seldovia’s biggest and most sustained economic boom began when Seldovia Salmon Company was built around 1910. At the height of the cannery industry, Seldovia had several canneries. Eventually they diversified and began packing shrimp, herring, crab, halibut and other fish. 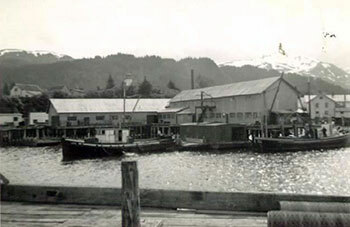 Canneries remained a big part of Seldovia’s economy until the 1964 Good Friday Earthquake brought an end to the cannery industry in Seldovia. Beginning in 1899, coal-mining operations near Homer provided the first mining employment for Seldovians. Many Seldovians made a business of supplying homes, businesses and cannery boilers. Eventually, a drop in the price of coal led to the decline of the coal business in Seldovia. Chrome ore deposits at Red Mountain southeast of Seldovia have supported sporadic mining operations for years. 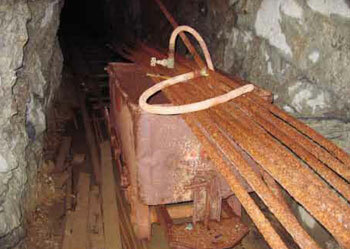 In the 1940s and 50s, chrome mining intensified but when demand for chrome ore declined, mining operations were abandoned. Logging operations have come and gone over the years. In the 1920s a sawmill operated on Powder Island until it burnt to the ground. Another small mill was located along the Slough. 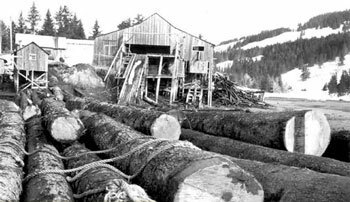 A contract with South Central Timber to log the Jakalof Bay and Rocky/Windy River in the 60s and 70s areas played a significant role in Seldovia’s economy. 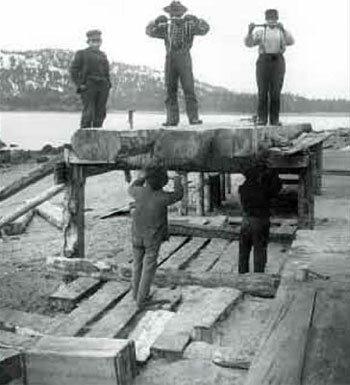 South Central Timber also built the road that connects Seldovia to Jakalof Bay and over to the Gulf of Alaska. Recently, the Seldovia Native Association sold logging rights to salvage beetle killed trees and potentially threatened trees in a timber sale. 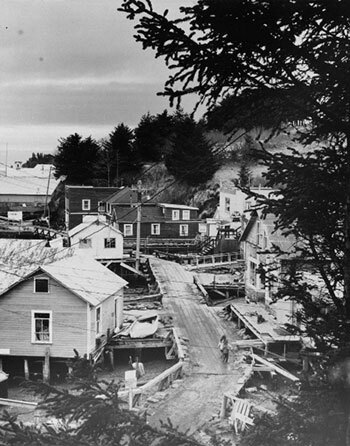 The original settlement in Seldovia was built along the waterfront. Access to homes and businesses was by way of the beach but only at low tide. In the late 1920s and early 30s, a community effort was organized to build a wooden boardwalk, which made it possible to walk from one end of town to the other no matter what the stage of the tide. The Good Friday Earthquake of 1964 exploded with titanic force. This massive earthquake, the strongest ever recorded in North America, changed Seldovia forever. It was not long before people realized that there was a serious problem: the land dropped four feet. 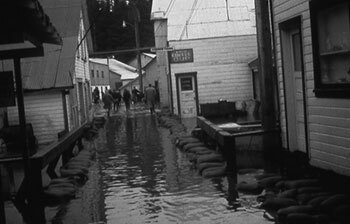 At high tides, seawater flooded over the boardwalk and poured into buildings along the waterfront. 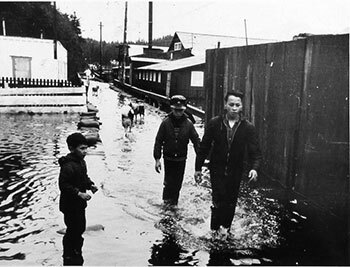 In the autumn of 1964, severe storms and the highest seasonal tides pounded the boardwalk and poured into buildings along the waterfront. The waterfront was doomed and the town had to be rebuilt. After a heated debate among residents, a town referendum agreed to accept the Alaska State Housing Authority’s offer for an urban renewal project. Waterfront buildings and the boardwalk were demolished, seawalls were constructed and Cap’s Hill in the middle of town was leveled. Ten years passed before the town got on its feet again. However, the town would never again be the center of commercial fishing of Kachemak Bay. A new road connecting Homer to Anchorage made Homer the new hub of Kachemak Bay’s fishing fleet. Copyright © 2017. Seldovia Native Association, Inc. All Rights Reserved. Website by G4 Design House.